When you’re looking for ways to make money from writing, you’re bound to run across a few scams. Some may actually sound promising – after all, the marketing materials are written by people who are good at writing. But, a well-written sales page, filled with promises, guarantees, and testimonials doesn’t necessarily indicate a legitimate product or service. You haven’t worked hard to earn a living at freelance writing, only to be scammed out of your earnings. Here are some freelance writing scams to watch out for. Writing custom writing samples is a good way to have your work stolen. You may not be out of any physical money, but you have used up your precious time. And, if time is money, then writing free samples costs your regular writing rate - you could have spent that time writing something you'd get paid for. Instead of sending samples, direct prospective clients to articles you’ve already written. In the vast majority of situations, these existing samples should be enough for a client to decide whether they’d like to hire you. There are people who don’t realize what writers should be paid and they often go with the rate they see other clients charging. However, there are those webmasters, bloggers, etc. who target specific types of writers (newbies, ESL writers, SAHMs) because historically these writers accept low wages. Don’t accept a paltry wage for your writing, especially if you’re trying to have a freelance writing career. If the clients you’re finding won’t pay your wage, then find new clients. Freelance writing job boards are a great place to find writing jobs. But, be wary of databases or lists that require you to subscribe or become a member just to view the list. 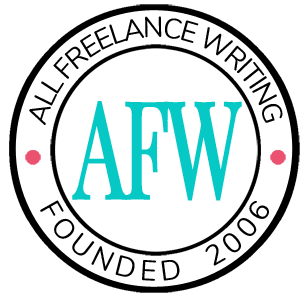 There are several sites that allow writers to view jobs or markets for free: All Freelance Writing, AboutFreelanceWriting.com, FreelanceWritingGigs.com, and Problogger.net are a few. Don’t get me wrong, there are some completely legitimate programs by writers who have real experience. However, there are also many scams that make promises they can’t necessarily keep. Before you pay for a freelance writing resource, research it. Do an internet search on the product and the company or person selling it. Look for outside reviews before making a purchasing decision. Keep a healthy dose of skepticism. It'll keep you from wasting good money on a dud product. Have you ever fell for any of these (or another) writing scam? When I first started as a freelance writer, I fell for the, “Give us a sample article so we can decide if we want to hire you,” because I thought I would get the gig. On the flip side, it was a good way for me to build my writing portfolio. Last week, I was asked if I wrote on contingency. The company is a start-up non-profit business. I said that I didn’t do that; however, I do believe I would have been paid for my services. And, I have a feeling I will be working with the organization once they receive their 501(c)(3) and start bringing in income, non-profit, of course. I’ve fallen for the free sample once too, when I first started freelancing. I found out the person had used the sample – without paying me – after I used it for another project with a client who’d Copyscaped the article. Embarrassing! While the client said he understood, the work trickled and eventually stopped after that incident. Yet another reason not to give away free samples.